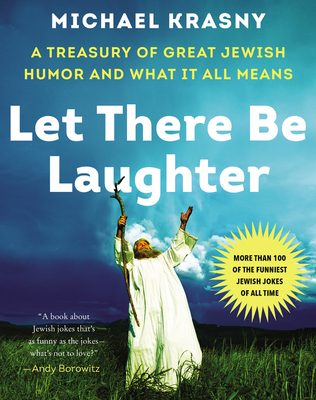 From the host of NPR affiliate’s Forum with Michael Krasny, a compendium of Jewish jokes that packs the punches with hilarious riff after riff and also offers a window into Jewish culture. Michael Krasny, Ph.D., is a scholar and professor of English and American literature, an award-winning broadcast journalist, and the author of two acclaimed books, Off Mike: A Memoir of Talk Radio and Literary Life and Spiritual Envy: An Agnostic’s Quest. He released a twenty-four-lecture series in two volumes called Masterpieces of Short Fiction for The Teaching Company, which is also available in audio and DVD format. Since 1993 he has been the host of Forum with Michael Krasny, a news and public affairs interview program produced at KQED Radio, the National Public Radio affiliate in San Francisco, California. The program is the most-listened-to locally produced public radio program in the United States, and the number one program in its morning time slot in the San Francisco Bay Area market. Forum can also be heard on SiriusXM, Comcast, iTunes, and across the internet.